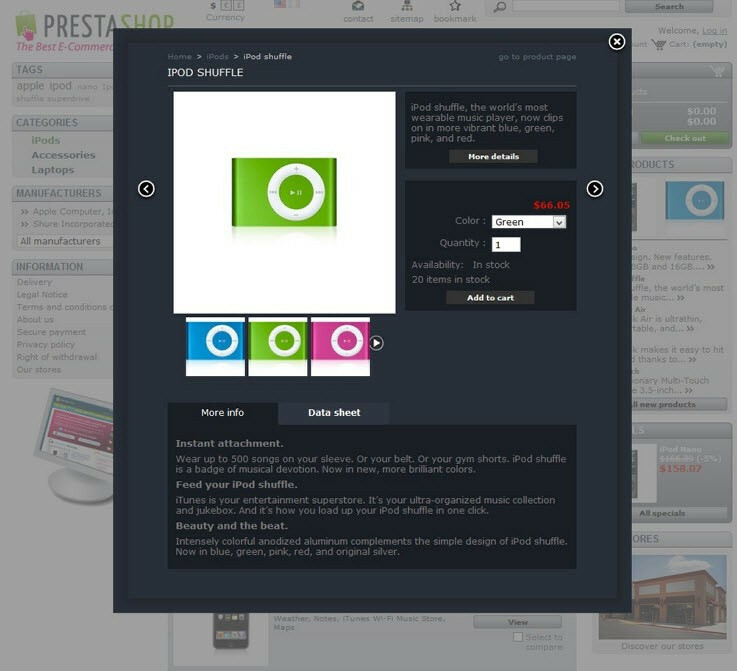 This easy-to-use Prestashop module saves customers' time and let them view product information on category and homepage. Product image, description, Add to Cart button and navigation menu are displayed in a popup on click. Let customers view all information about products right where they are, on category or homepage, without referring to product pages directly. 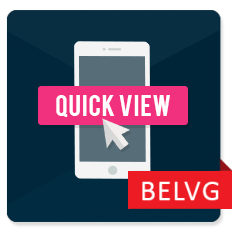 Install Prestashop Quick View module that displays a popup window on click with product image, description, tabs and Add to Cart button. 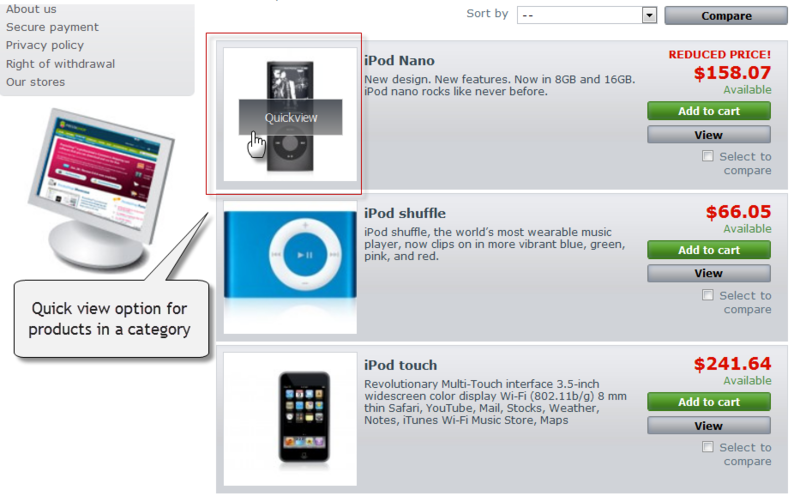 Users may add products to their carts and navigate through the store assortment, staying on the same page. 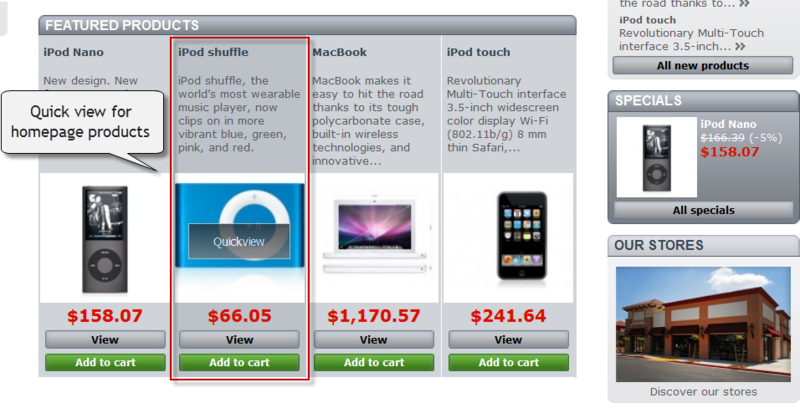 Navigate through the store via quick view window. Customers may not have enough time to reach the product page and get informed of the product details over there. That will be resulted in revenue loss. Prevent this from happening with Prestashop Quick View module that allows showing all product information in popup on click on category or homepage. 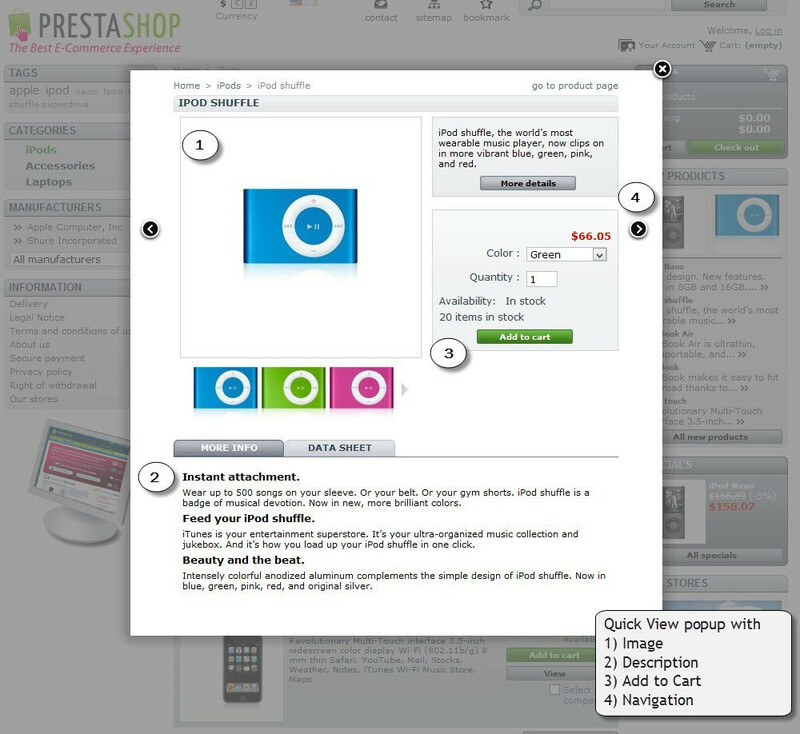 Prestashop Quick View popup contains product image, description and opportunity to order the item instantly from the window.